It’s no secret that debt continues to burden the lives of millions of Americans. The Federal Reserve Bank of New York recently reported that total household debt hit a record again last year at $13.15 trillion. If you’re one of the millions living with debt but are determined to wipe the financial slate clean by sticking to a strict budget, a vacation may sound like a luxury you simply can’t afford. But wait—you have options! Budget-friendly, creative vacations can fulfill your need for a much-deserved break, while delivering the satisfaction of sticking to your budget and meeting your goals. Below are five budget-friendly suggestions to get you started. 1. Explore your local region. Nearly every locality has a recreation and tourism organization that helps promote the region and provide visitors insights for enjoying everything the area has to offer. When’s the last time you looked at yours? In the Roanoke Valley, we have organizations like Roanoke Outside and Visit Virginia’s Blue Ridge, which tout the various activities and amenities in our region. In addition to investigating the local calendar of events for festivals or events that may be of interest, these sites typically have sample itineraries that you can copy and paste right into your vacation-planning calendar. They may focus on hobbies or interests, such as foodie tours or beer-lover weekends, or they could break down a variety of activities and places to stay based on several multiday agendas. 2. Consider a night under the stars. 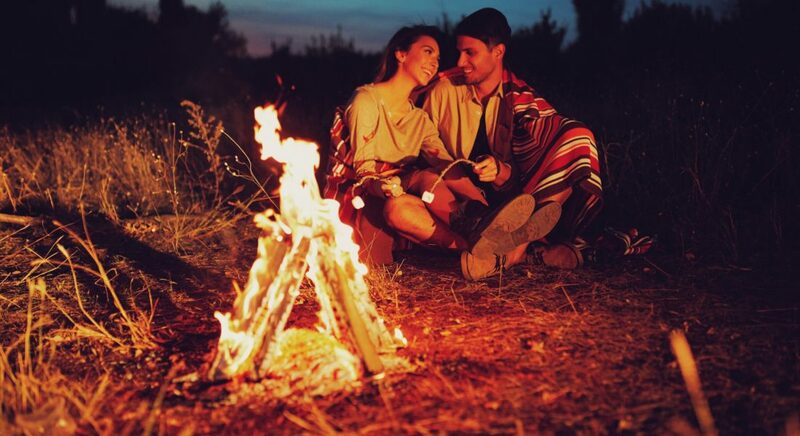 When’s the last time you enjoyed the crackle of a campfire and the melodic hum of nature settling in for the night? There’s no shortage of national parks or local campgrounds that offer affordable opportunities for a couple days of rest and relaxation. The best part is, there are likely a variety of campgrounds that meet a diverse range of interests within a day’s drive of wherever you are. Head toward the coast and you could have an affordable beach experience, or drive toward the mountains and enjoy a trail-focused trip. Believe it or not, the town or city you call home can provide the retreat you’re searching for. A staycation, even if it means sleeping in your own home, can be a creative way of taking some much-needed time off of work and getting to know your local area a little better. Do a little research and identify a couple of days of activities you would enjoy. Find out when a band you want to see is coming to town or a festival is closing down your local main street. As a bonus, you’ll have the comforts of home and can plan to knock out your growing to-do list too. Your social feeds are flooded with beach pictures, and the out-of-office email replies are popping up left and right—it’s vacation season. Traveling ain’t cheap! To soften the financial impact, we’ve come up with a few ways to save while still broadening your horizons. Remember when you could couch surf at a friend’s place and that was how you were able to afford most of your travel? Why not recreate that experience! Identify friends and family who wouldn’t mind playing host and call them up. In addition to discovering a new town and enjoying a variety of previously unknown restaurants, you’ll connect with a loved one. As expected, you should be on your best behavior. You found a place to stay for free, but that doesn’t mean you can’t pay back your gracious host by washing the dishes, helping with dinner, or assisting with chores around the house. Traveling alone can be expensive. All the cost burden is squarely on your shoulders. It stands to reason, then, that the more friends you can find to vacation with, the more opportunity there will be to split costs and cut corners, together! Find a buddy you wouldn’t mind spending some time with and throw out the idea of a group vacation. You never know who else could be looking for the same opportunity. The name of the game is saving, and every little bit helps. Focusing on local attractions can help save on gas. Generosity from friends and loved ones can save you from expensive hotel costs. If you’re willing to be flexible, you’ll find that there’s a lot of ways to cut corners and get creative with cost-saving vacation plans.